Whatever has been going on in your mind, your life, or your heart can stop -- right now, if that is truly what you desire. However, you must be willing to "do a new thing." You must spend a little time, each day, in devotion to the truth about yourself and the truth about life. You must make a conscious approach to what you think and how you feel about what you do. Devotion will clear up misconceptions that may have obscured your vision of life until today! I can hardly wait to see the good, the joy, and the peace that we can create. I am so grateful to be in support of and of service to you as you undertake this journey. Because I know that "where two or more are gathered" the Spirit of good is present, I believe that the things upon which we focus our hearts and minds will reap bountiful results. So, here's to your personal strength and your peace of mind, through the elimination of all things that hindered or denied our collective power and greatness -- Until Today! It is suggested that you read the daily message each morning before you begin your day. In this way you will have ample opportunity to incorporate the principle being covered into your own life experience. Make a note of any feelings that come up for you while you are reading. It is best if you give the feeling a name, e.g., fear, resistance, acceptance, understanding, confusion, etc. Once you have named the feeling make a note of what it represents to you. Resist the temptation to agree or disagree with any particular statement. Seek the deeper understanding by exploring your feelings. Should you choose to join a study group, be open to sharing those passages that you found most difficult, or those which evoked the deepest feelings or memories for you. You are encouraged to develop the habit of writing the daily affirmation and carrying it with you. You can post it in your car, home, office, even at your desk at work. When the affirmation is read or recited daily, it reinforces the principle in your own consciousness. Each member of the group is encouraged to follow the daily personal study guide, and to use group meetings to gain further clarity or understanding about the principles. Group study is also a means of support with issues or revelations that may arise as you experience the book. We offer you the following guide for facilitating meetings in which the content of Until Today will be discussed. Of course, you are free to work with any process that is amenable to your group. The following format and process is offered as a guide to a deeper understanding of spiritual principles that foster spiritual growth and peace of mind. Take a 3-5 deep breaths, inhaling slowly, followed by a slow exhale. Rest by breathing normally for several seconds between each breath. I am Divine; or I am blessed; or I am open to a deeper understanding of myself and my life; or, love and light surround me. Feel free to use any statement beginning with "I am" that makes you comfortable. Before you inhale, imagine that there is a nose in the middle of your chest. Inhale deeply from the center of your chest. As you exhale, see, fee or imagine that the breath is being released through the top of your head. Call Forth Your Higher Self, Divine Self, Angels, Guardians, Ancestors, or Guides. "It is my intention to receive divine guidance;" or "It is my intention to gain a deeper understanding of?" or "It is my intention to gain clarity about? "or "It is my intention to experience the divine presence of?," etc. This is the time for members to share any challenges, upsets, victories, and realizations they have experienced since the last meeting that are directly related to one or more of the daily messages. A simple way to begin is to share what has come up for you since the last meeting; if/how application of the principle being covered supported, assisted, guided your responses and behaviors; and where you are experiencing difficulty. The process works best if each group member shares their own experience without judging, fixing, exploring, and challenging any other member. This means that once a person speaks, the process continues to the next person. You are encouraged to avoid cross talk and examination of personal experiences. In other words, when each group member speaks, there should be no comment about what any other member has shared. Each member should conclude their sharing with the statement, "Thank you for the opportunity to speak." This is a form of self-acknowledgement, as well as acknowledgement of others. Once all group members have checked in, read the opening passage of the daily message for the date the group is meeting. Once the statement is read, 3-4 members, one by one, read one sentence of the message, and share how they relate to it. Relating means sharing what you understand; how it makes you feel, and any experience you can share that ties into the overall meaning of the sentence. Remember, the process does not require agreement; it is a process of self-exploration. You are encouraged to use such statements as, "What this means to me is..." and "The way I relate to this is...." Once the entire day's passage has been read, the group is open for a deeper discussion. Any group member can re-read any sentence, sharing their challenges, understanding and experience with that sentence. When/If a group member has a challenge accepting or understanding a sentence, another group member can read it aloud. The group should then spend 2-3 minutes in silent reflection/contemplation of the sentence. Beginning with the member who read the sentence, moving around the group from member to member, each member briefly shares any new or different understanding or interpretation of the statement. Another way to understand a challenging message is to do 15 consecutive minutes of journal writing about the feeling that comes as a result of the passage. This means that you will write everything that comes to mind until your mind is clear, or until the time is over. Should you discover that the feelings which come forward are painful or unproductive, DO NOT RE-READ THE PAGE. Destroy it -- burn it, tear it, or flush it. For the first meeting of the month, or with each new principle, the group is encouraged to create an affirmation for the group using the principle. For example, if the principle is love, an appropriate affirmation would be, "I am surrounded and protected by the divine principle of love which brings into my life all the good the love has to offer." Each member can write/post the affirmation in their home, car, or office, where it can be seen and/or recited daily to reinforce awareness of the group's intention. Some groups may choose to devote their meeting to a discussion strictly related to the month's principle. Should this be the case, the following process if offered as a guide. There is no right or wrong way to conduct a group meeting. You may start with one process, only to discover that there is another process which better serves the members' needs and interests. More important, remember to have fun. Spiritual growth need not be a painful or devastating process. Remember to laugh at yourself. Remember to support, nurture, and embrace yourself. Share your challenges. Revel in the new understanding you discover. Above all else, tell the truth! As you know, the truth will set you free! 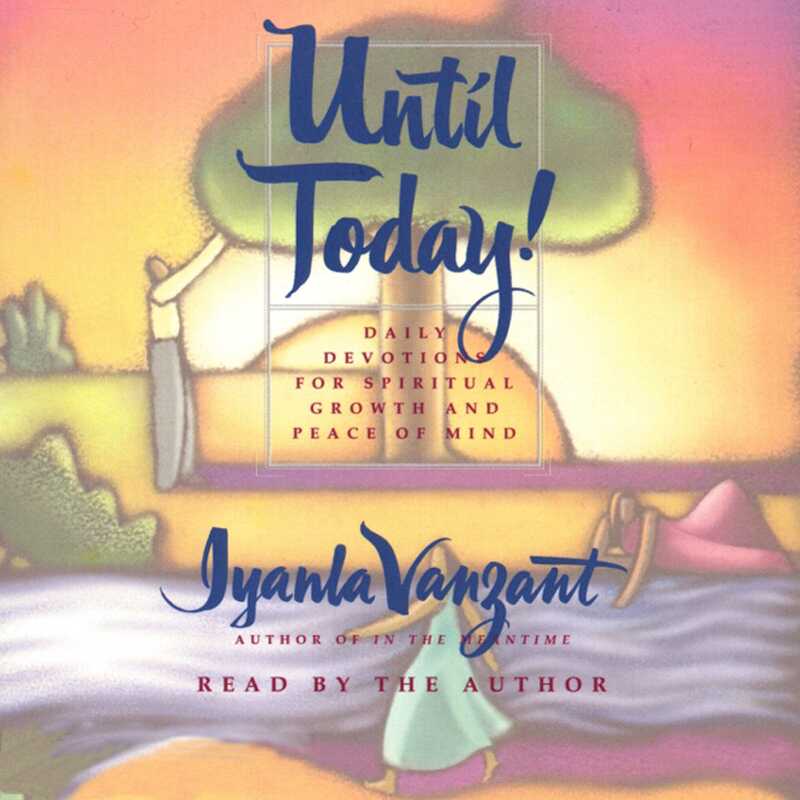 In her introduction to Until Today!, Iyanla says that, "the journey into self-acceptance and self-love must begin with self-examination.... Until you take the journey of self-reflection, it is almost impossible to grow or learn in life." To this end, the author shares how she asked her staff to write a five-hundred-word description of themselves, using the first person in the present tense. Discuss the personal description called "The Landscape of Myself" from Iyanla's introduction. Try this assignment yourself, keeping in mind the essay that the author shares. Remember, although this may be a struggle, this can be an instructive way to further focus on the work you want to do - and it will likely reveal some inner resources you didn't know you have! Discuss some of what you wrote down about yourself, and share your reactions about the process and what you discovered. January's theme is allowing life to work for you. Retrace your plan for this coming year of UNTIL TODAY! activity. What goals have you discovered, or have you set in motion? How has embracing the Law of First Things (accepting, acknowledging, and embracing God first in all things) made a difference in your life? If you've tried it, how has being silent for ten minutes at a time impacted you? What have you learned by practicing patience? Share what you have discovered about enacting these changes, and what occupies your thoughts, and how you are feeling. Are you living in the moment, in the present, or bringing up the past by reminding yourself of how bad things have been for you? Have you been able to bring yourself into the present each day? What are a few things that you've been avoiding, and what are you doing to squarely face them? How have you learned to take responsibility for your life? At the end of the month, go back to any lessons you had trouble with or chose not to do, and try them again. Examine what caused the difficulty and what you did about it (or what you didn't do about it). Chances are these lessons are very valuable to your growth. "Love," February's focus, "is who you are," says Iyanla. Look at the entry for February 1, and practice treating everyone around you how you treat yourself. How did this make you feel? How did it make a difference in you day? Discuss what the author means when she says, "How you see yourself, how you treat yourself, and how you express yourself is a direct reflection of your true beliefs about love. When you can be gentle and compassionate with yourself, you will feel love." Share a time or situation when this has borne out. When people lie to you, speak ill of you for no good reason, or strike out at you, how can you greet this lack of love with love? If you've tried this, how did it make you feel? How do you withhold love? If you're in an abusive relationship, can you begin to understand how by participating in activities that are not loving toward you, you are helping to hurt yourself? Explore the idea that love is not a tool or a weapon. Ask yourself if you are receiving all that you are giving, and share your answer. Are you relationship material? How are you willing to open your heart? Are you willing to allow others to see yourself exactly the way you do? Why is it not a sign of loving someone when you withhold information that you think will disturb them? If you are wondering why you should stay in a friendship or relationship, and how you can leave without hurting or being hurt, are you fully present in a loving situation? Consider what has happened as a result of this newfound expression and acceptance of what love means, and share your feelings about it. At the end of the month, go back to any lessons you had trouble with or chose not to do, and try them again. Examine what caused the difficulty and what you did about it (or what you didn't do about it). Awareness, March's topic, looks at judgments of all types. How can you execute the entry for March 4, which asks that you devote yourself to living without judgments? Explore the notion that "when you make a judgment you make a decision about the way things are is not the way things need to be." How does this reflect your belief of right and wrong? Examine how a judgment is a means of control. Who in your life is an adult in body, but not a grown-up in mind? Are you? What adult behaviors and qualities would you like to develop? How can you accomplish this? Are you unkind, inattentive, critical, and unsupportive of yourself? What are some things you can do to be more aware of how you treat yourself? April looks at acknowledging things. April 1 and April 2 explore the big topic of acknowledging the many things we have not done in life. What are some of these things in your life? What are some of the excuses you offer? How does acknowledging these things make it easier to begin tackling them? What is your life saying to you? Have you been afraid to hear what you are saying to yourself about your life? Why? If you are a person who thrives on bad news and gossip, or are waiting to receive some good news, try Iyanla 's suggestion of being the good news in your own life. How does it feel? Does it change the way you perceive the day? What can you recommend about this to your friends? Is there a time or situation when you could have stopped yourself from walking down the path of negative reaction? Share your response if you've tried this recently. If you're used to telling others what to do, try not doing this for a day. Instead, share your experiences or insights. What happened when you did this? How about admitting that you made a mistake, either recent or past? If you have trouble doing this, try it and share how it made you feel. Acceptance is at the core of May's explorations. Discuss the May 2 crucial examination of acceptance. If you truly want to grow, ask yourself whether or not you are willing to run the risk of making some people mad, and if you are, what has been bugging you enough that you will choose to disagree with someone about? Are you willing to leave some people behind if you want to move ahead? Explore the idea that "liking you is not anyone's purpose in life except yours." Iyanla says that, "If you really want to know who you are and what you are capable of achieving, you must be willing to live without the opinions of other people. That means don't ask for opinions!" Examine how you can accomplish this, and if you've tried it, how it made you feel. How has second-guessing yourself gotten you into trouble? Discuss some occasions this has happened and what you might do to stop this destructive behavior. Try doing your best and accepting you've done your best. How does this make you feel? What can you share that helped you be successful? Are there other aspects of your behavior that you feel are unacceptable and prevent others from liking you? What would you eliminate that would make you happier? What can you do to move beyond what you think you have not been towards what you'd like to be? 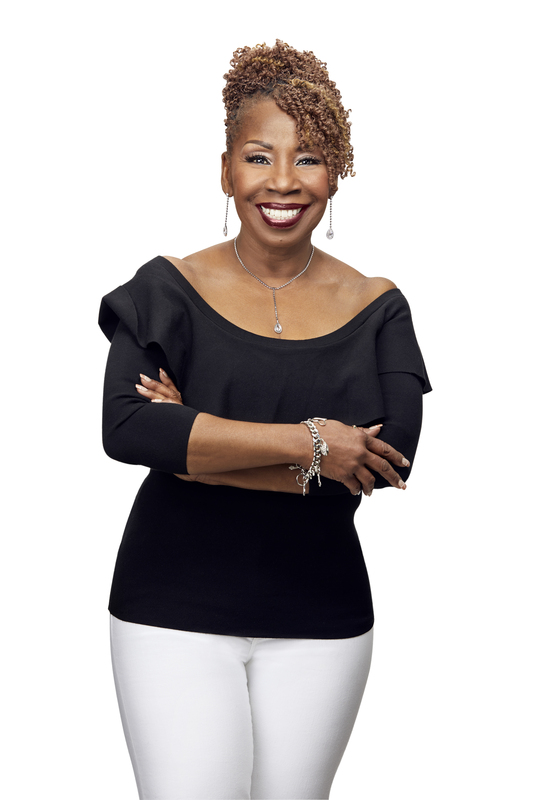 Forgiveness is not something you do, Iyanla says in the June chapter. "It is a state of being that when offered brings forth the truth of who you are." Explore what this important idea and how this applies to your life. The entry for June 2 is worth a close look. Examine the unconscious loyalties you may have to inaccurate information others have said about you. To help yourself, answer the following important questions: 1) What do I believe about myself? 2) How do I demonstrate this belief? 3)What do I remember being told about myself? 4) How does my behavior support what I have been told? Share and discuss what you have uncovered. How can you devote yourself to breaking the strong loyalties you have to believing the inaccurate information about yourself? How can you forgive yourself for all of the infractions you have committed against your true self? How does it feel to not spend a day beating yourself up for all of the things you did not do to your satisfaction? What can you do to stop this behavior in its tracks? What would tell others if you saw them doing this? What can you do to stop being fascinated with things past, and move into doing what's important right now? July's theme, understanding, asks you to accept that there will always be things we can't understand. Do you agree? When are some moments when you've experienced this? Has knowing this helped you during those times? The lesson on July 5 examines the important topic of wasted time and energy. Do you find you are spending a lot of time wondering why you are not further along, or doing something different, at the moment? Ask yourself where it is that you think you need to be. Also ask, "what do I believe about where I am?" "What do I think about where I am?" "What do I feel about it?" "What do I tell myself about it?" Discuss whether or not where you are is fine with you, and why. Why does Iyanla say that, "our ability to adapt in order to fit in enables us to run the risk of forgetting who we are"? Discuss some situations where you have "adapted" yourself to someone else's ideas and expectations, and what happened as a result. Do you wear a mask for each "role" in your life? What can you do to wear your true colors all the time? August's central focus is faith. Examine what Iyanla means when she says, "What you make in your own mind is what you put your faith into just to prove to yourself that what you believe is correct." What does it mean that you may not have realized that you have the ability to experience anything and everything good that you desire? Try expecting good, believing in good, and trusting that something good in you will bring something good through you. What happened? Taking the lessons learned so far from UNTIL TODAY!, consider how August 6 looks at being paralyzed by "when," if," "if only," or "because." Act as if, "Now is the time," and make something happen in your life that you've been wanting. What did you do, and how did it work out? What would you tell others who have also been waiting for "someday," fearful of going after what they want now? If you are someone that always does for others and asks nothing in return (there are lots out there! ), allow people to compliment you, allow someone do something for you -- even a small thing -- without feeling obligated to do anything in return. How did it feel? Why do you feel you have to earn anything nice? Do you make others feel that way when you do something nice for them? September examines the many sides of trust. Spend some time exploring the eminently important September 1 missive that trust is a simple process. Ask yourself whether or not you trust yourself? Do you trust others? Discuss the idea that if you do not trust others, it is perhaps a reflection of the fact that you do not trust yourself. If you don't trust others, Iyanla says, you cannot live open and fully which means that you expect to be hurt. How does this impact your life? What can you do to change your belief about trust being a learned response? What do you make of the idea that trust is never out there, but it resides within you? That it's a decision, a reflection of your beliefs. Do you agree that it's not about being comfortable, but about being willing to move beyond your comfort zone when there is no evidence you will be supported? Why? Make a list of all of the experiences in which you feel you've been betrayed. Talk about this with others, and figure out when you first saw the signs of betrayal? Ask yourself why you ignored those signs, and what you were really trying to accomplish in the relationship. Worth, October's theme, is summed up well in the October 2 entry, "You are not what happens to you. You are how you handle what happens." Explore different situations you've been in where knowing this would have made a difference. How can you internalize it now? How long are you going to hold onto things that are not working in your best interests? How longs are you going to deny yourself, your feelings, and your power in order to meet the demands and expectations of others? Discuss what it means to you that life is not about holding on, is not about doing what will make others believe you are worthy? Try "letting go of thoughts, beliefs, behaviors, ideas and people standing in the way of your desire to stand squarely in your worthiness." How does it feel? Discuss the idea that "the destruction of self-worth begins the moment we assign a value to something outside ourselves." Have you ever considered someone or something more important than you? Try thinking of yourself first, taking care of yourself first. How does it feel? Would you recommend this to others? Why? What do you stick labels onto? Consider the fact that labels are descriptive, protective, deceptive - and can be removed. Consider whether or not you've labeled people, men and women, and what else you can do besides stick one on there? November looks at service, and asks whether or not you understand the difference between service and control. Do you? Examine a time when you have attempted to fix, change or help someone, and when you have given something you have without expecting recognition or a reward. Are you able to do what you are asked to do -- and nothing more? Give 100 percent of your attention without causing yourself harm? Try giving service with love, in joy, and see how it feels. When have you been sucked into letting difficult people create difficulty for you? How can you change your perspective from blaming them to blessing and accepting them? What purpose could this serve? If you find yourself in the middle of a difficult situation, don't shut down, but open up. Try this, and see how it feels. What are some difficulties and challenges that you face? By trying to remain open we accept that life will move us along anyhow. Is there a situation where, in hindsight, this might have worked? Can you draw on this now? The December 7 entry is worth settling down with for a spell: "I will know peace when .. . I reclaim all the pieces of myself." Do you feel like you've given too much of yourself away? If you can't seem to get it together, perhaps you have over-compensated, compromised, given in and given over too much of yourself. Examine all the times you gave others the right to make your decisions, when you expected others to do for you what only you had the power to do. What are some of the things that you do that diminish and distort your sense of wholeness and your ability to make your own decisions? What can you tell others about getting out of this predicament? Have you ever been so angry with someone that you shut them down (most of us have!)? How can you set clear boundaries so this doesn't continue to happen? What can you do to let others know what you need and want? Do you think this would allow them to decide of they want to be involved? What power struggles have you been in recently that could have been resolved by setting better boundaries? Fear of being hurt causes all sorts of unrest and upset. What have these fears motivated you to do, or not do? Has the November service work helped with current dilemmas? Why, or why not? Book Cover Image (jpg): Until Today!